Codesters is built to enable teachers to teach coding in their classrooms. It integrates a Learning Management System with our Coding Platform so teachers can enroll students into a class and monitor their progress. Students' work is automatically graded and their progress is displayed on the dashboard, where teachers can drill down to run students' code or see projects on the class page. The Codesters Dashboard makes it easy to monitor students' progress. Students enroll in a class, then their work is automatically saved to the dashboard. You can drill down into each lesson to see where each student succeeded or struggled. You can open any activity a student has completed to view and run their code to figure out where they are having difficulty. Manage your class roster by adding and removing students or setting passwords and screen names. You can pre-register students by uploading a CSV of your roster or your students can sign up using their Google accounts. 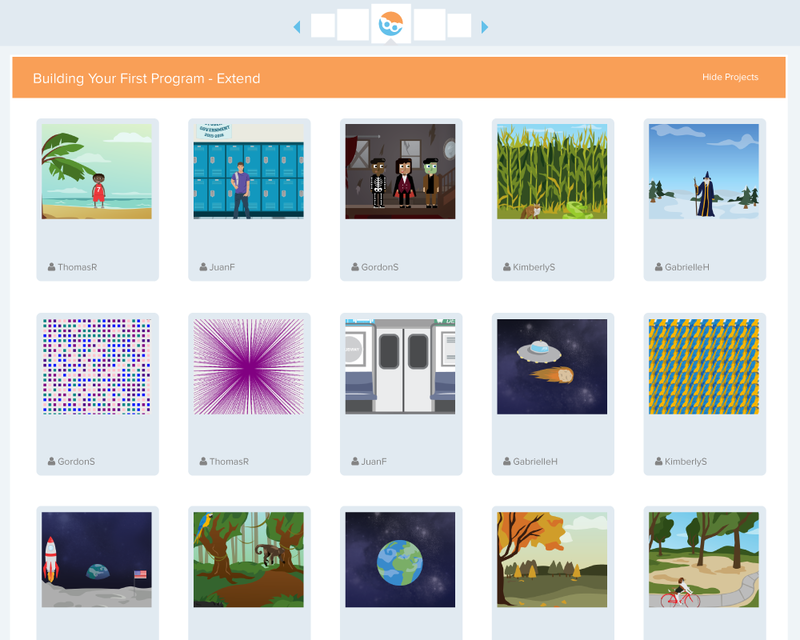 Every lesson asks student to create and customize projects. Every project is automatically saved to a class page where students can share their work with classmates.